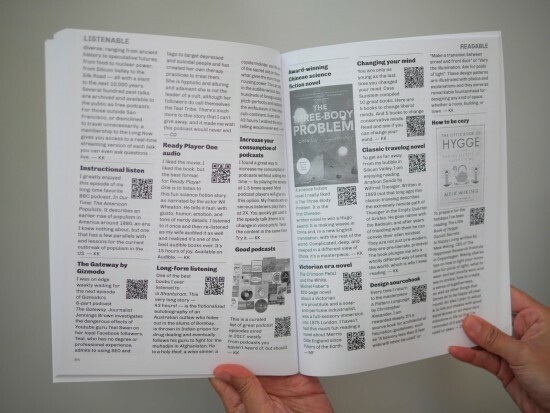 We’ve published a new book that may be even better than Cool Tools. Every week for the past two years we briefly recommend 6 things to our friends. Sometimes we suggest tools, but most items aren’t tools. Rather we recommend stuff such as our favorite places to visit, things to watch or listen to, favorite stuff to eat, as well as tips for work or home, and techniques we’ve learned, quotes we like to remember, and so on. 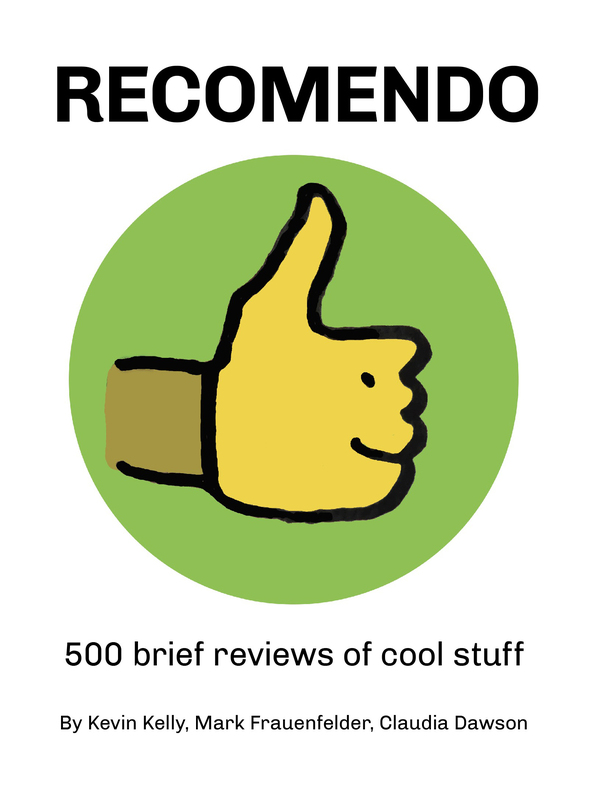 We email these 6 brief reviews in a free newsletter called Recomendo, and by now this one-pager is sent out every Sunday morning to almost 20,000 subscribers. If you want to get a feel for what we recommend, all the back issues are available here. This autumn we collected, filtered and organized 550 of the best recommendations and put them into a book, called naturally enough, Recomendo. The book is 95 jam-packed pages. We’ve categorized the recommendations, grouping like with like. Having all the workflow tips, or household suggestions, or workshop tools, or travel recommendations all in one place is super handy. There’s an index and subject guide. Many of the items have an illustration. 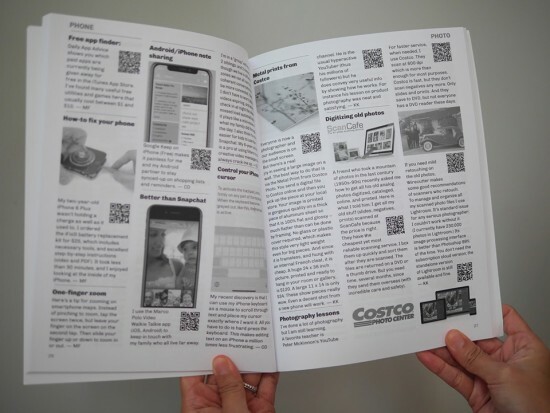 To make up for the fact that a book can’t have links, we’ve added QR codes, so you can instantly get a link with your phone. Everyone who has picked the book up has found something cool for them on the first page and they keep turning the pages for more. I think it’s the happiest book I’ve ever worked on. 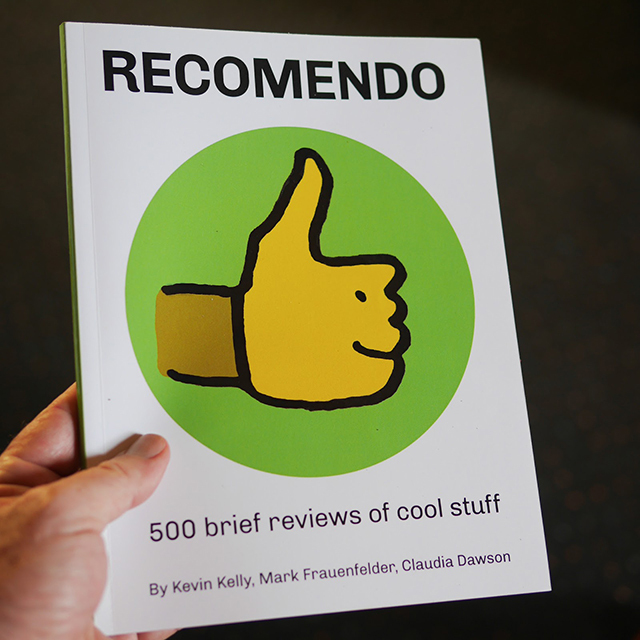 Recomendo is available now from Amazon, for $9.99, with two-day Prime shipping. We will have a PDF version later for international fans. I genuinely believe it will make a great inexpensive gift for most people. It’s what I’m giving to friends this year. Order one for yourself and see if you agree.